In 2013 the McGrath Community Library moved to its current location in the Captain Snow Center City Building. 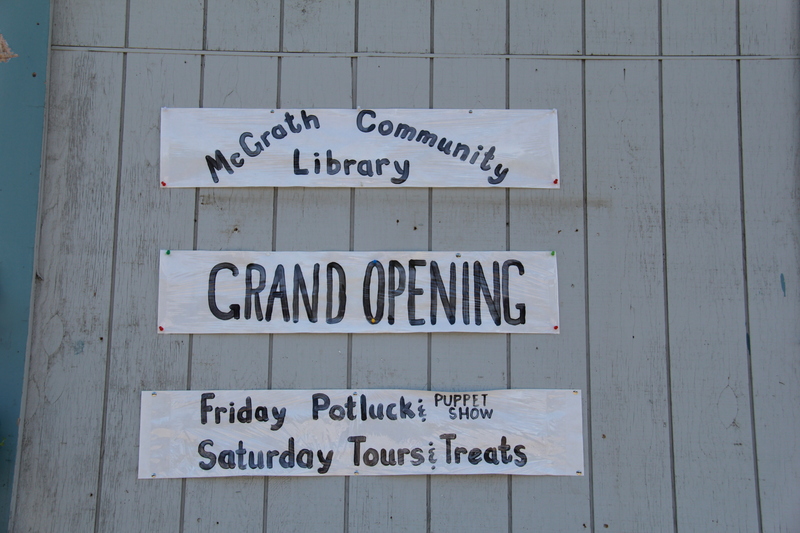 With a Stevens Puppets show and a potluck, McGrath Community Library officially announced it’s move. Four years later we are celebrating our 75th anniversary! In April of 2017 we had two big celebrations, a youth event and library birthday party and an evening open house featuring historic photos spanning back to World War II era! Our library is one of the oldest in the state of Alaska. McGrath Community Library now has ebooks to check out. You find these “digital books” through the link above by searching for the McGrath Community Library on the list of enrolled libraries. Using your library card number with a P and space before it (example: P 995), you can check out a book and download it to your device. (Be sure to capitalize your password) We will be discovering the use of ListenAlaska together, so email us with any suggestions or questions at mcgrathlibrarian@gmail.com.